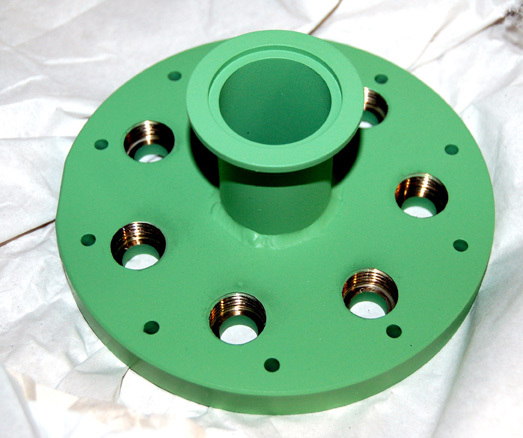 All of our Teflon® Simulation Chambers are custom built to suit your experiment. 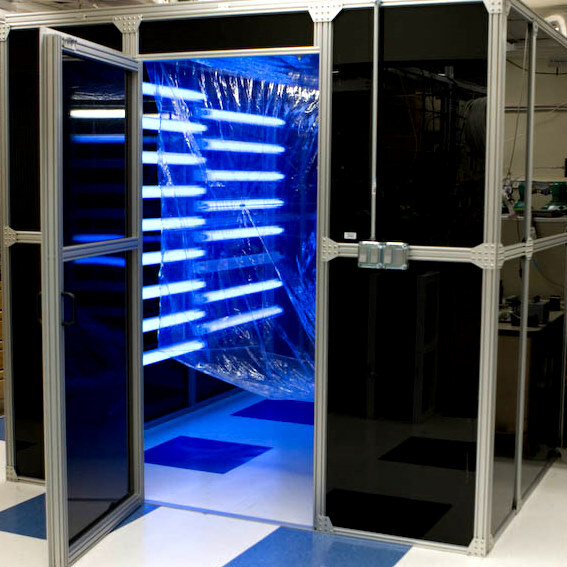 Our custom chambers made with Teflon™ (FEP, PFA) films are ideal for aerosol experiments that require a fully enclosed, transparent, UV-transmissible, inert environment. Mechanically sealable access ports or sleeves slits used to place an object inside the chamber, or to assist in cleaning the chamber. Custom built Teflon™ PFA Simulation Chamber suspended in an enclosure. Multi port Teflon™ coated stainless steel manifolds can be provided to assist with sample injection. 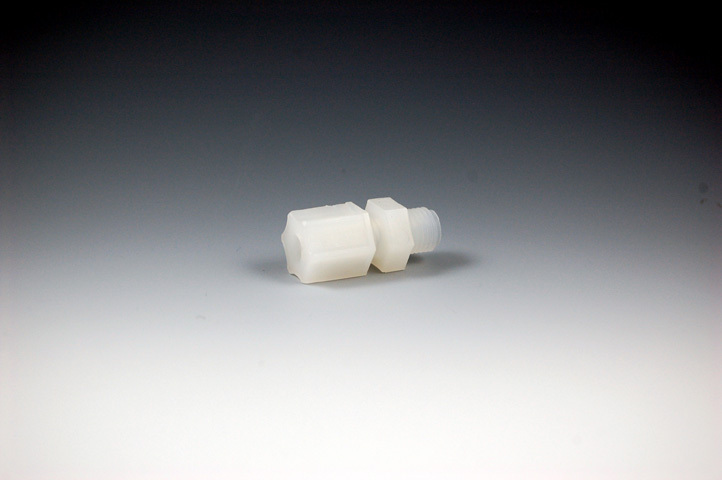 Inert ¼” Kynar® (PVDF) compression fittings can be installed into the wall of the Teflon® Simulation to help optimize the aerosol experiment.